- that's something to aim for. Recharging batteries, for one. But now MIT researchers have observed this seemingly implausible mode of heat transport, known as “second sound,” in a rather commonplace material: graphite — the stuff of pencil lead. “There’s a huge push to make things smaller and denser for devices like our computers and electronics, and thermal management becomes more difficult at these scales,” says Keith Nelson, the Haslam and Dewey Professor of Chemistry at MIT. “There’s good reason to believe that second sound might be more pronounced in graphene, even at room temperature. If it turns out graphene can efficiently remove heat as waves, that would certainly be wonderful.”Normally, heat travels through crystals in a diffusive manner, carried by “phonons,” or packets of acoustic vibrational energy. The microscopic structure of any crystalline solid is a lattice of atoms that vibrate as heat moves through the material. These lattice vibrations, the phonons, ultimately carry heat away, diffusing it from its source, though that source remains the warmest region, much like a kettle gradually cooling on a stove. ya gotta love science, as distinct from modelling. - I could imagine this is a real problem. Inconsistency, too. The miraculous properties of graphene have attracted headlines ever since the material was isolated and characterized by Kostya Novoselov and Andre Geim, who were awarded a Nobel Prize for the work in 2010. Strictly speaking graphene is a single layer of carbon atoms arranged in a honeycomb like lattice, but Ã¢â‚¬Å“few-layerÃ¢â‚¬Â graphene can retain much of the fascinating alliance of extraordinary electrical and mechanical properties. However when the number of layers starts to number more than just a few, the wonder material behaves less and less like graphene and more and more like graphite, also known as pencil lead. The importance of distinguishing graphene from graphite has been recognized for several years, prompting the International Standardization Organization to set a precise definition for what can be defined as graphene Ã¢â‚¬â€œ fewer than 10 layers. While this clarifies things for patent attorneys, a definition is little use to the graphene sector if suppliers continue to supply graphite in place of graphene, and users lack the resources to distinguish graphene flakes from graphene fakes. The results of the NUS study come just months after the establishment of the Graphene Service in the UK, a collaboration between the National Physical Laboratory in Teddington and the National Graphene Institute at the University of Manchester. The Graphene Service aims to leverage the expertise in the two institutions to characterize samples for users and provide advice on their potential uses. WhatÃ¢â‚¬â„¢s the Ã¢â‚¬Å“next big thingÃ¢â‚¬Â to hit the market? This question has tantalized rabid investors in search of the big payoff since forever. Next big thing candidates typically are involved in business operations that have the potential to make a significant impact on the way things get done in the world. Many are technology firms. As far back as 2012 an article appearing on the website of Canadian metals dealer Kitco heralded graphite as the Ã¢â‚¬Å“new black gold.Ã¢â‚¬Â Active investors at that time know Kitco was not alone in touting graphite, in large part for its application potential in yet another big thing, the coming boom in Electric Vehicles (EVs). Many investors focused on the robust demand projections for graphite. The following graph presents more recent data. Yet that optimistic picture has not saved the fortunes of AustraliaÃ¢â‚¬â„¢s largest graphite producer, Syrah Resources (SYR) from a volatile share price and third place on the ASX Top Thirty Short List. As is typical of suddenly Ã¢â‚¬Å“hotÃ¢â‚¬Â commodities like graphite, producers rush in to capitalise on rising demand, only to see commodity prices drop due to oversupply concerns. Demand is only half of the equation with which investors need to be concerned. Buried in the graphite hype back then was a material made from graphite, hailed at the time as having applications so revolutionary the disruptive effect was compared to the advent of electricityÃ¢â‚¬â€graphene. This Ã¢â‚¬Å“wonderÃ¢â‚¬Â material also earned the accolade of Ã¢â‚¬Å“new black goldÃ¢â‚¬Â. For many investors, what the business world could do with graphene was more important than its composition or how it is made. And the list of applications read like something out of science fiction. 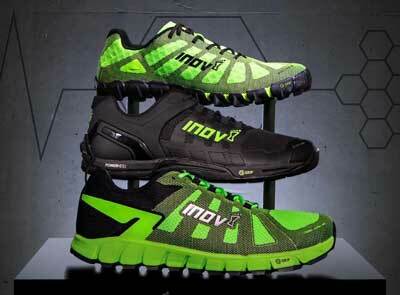 (Nanowerk News) The worldÃ¢â‚¬â„¢s first-ever sports shoes to utilise graphene Ã¢â‚¬â€œ the strongest material on the planet Ã¢â‚¬â€œ have been unveiled by The University of Manchester and British brand inov-8. IMAGINE Intelligent Materials has developed an electrically conductive geotextile from graphene that can detect holes in coal seam gas waste storage ponds and tanks during construction. Hospital disinfectant of the future? Italian correspondent Anna Garbagna reports on a new formula developed in Rome which could become a future hospital disinfectant. The discovery lead to a new formulation, which can be obtained in gel or liquid form, based on graphene, a material made of carbon which is found in common pencil graphite. Graphene has the tensile strength of diamond and the flexibility of plastic. Furthermore, and this is the great discovery, apparently graphene can destroy bacteria and killer fungi in hospitals, such as Staphylococcus aureus and Candida albicans to name but a few.